One of Hays County's most charming 20th Century stories springs from the discovery of a pair of letters in the personal belongings of one of the county's most intriguing personalities, Helen Michaelis. Having grown up on the Michaelis Ranch in the early part of the 20th Century, Helen grew into a personality of note when she took her horsemanship-and horses-to the University of Texas and began teaching classes in the care and handling of those horses. She ultimately became one of the state's recognized authorities on horses in a time when women customarily took a secondary role to men in this area. 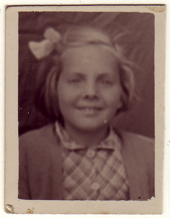 It was because of Helen Michaelis' well-earned notoriety that a pair of letters sent from England reached her---much as the letters in 1947's "Miracle on 34trh Street" appropriately reached Santa Claus. 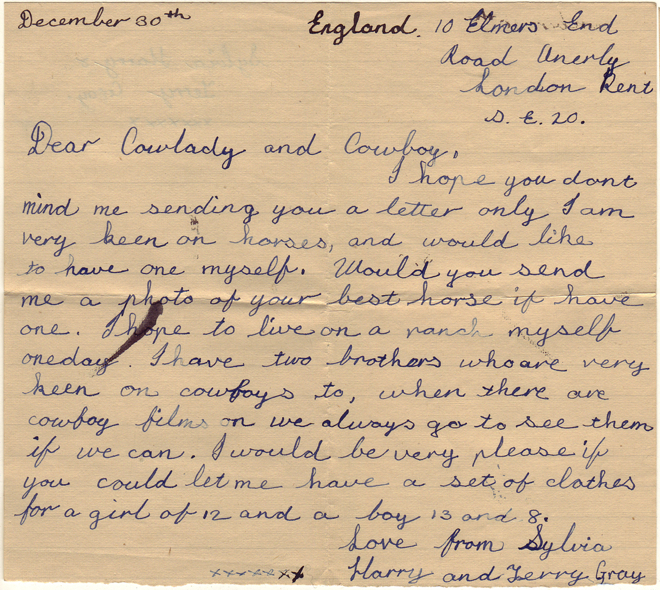 On December 30th, 1947, Two little girls in southeast London, captivated by the American west, wrote to "A Cowlady on a Ranch in Texas U.S.A." They put their letters in an envelope, along with their photos, and dropped it in the post. 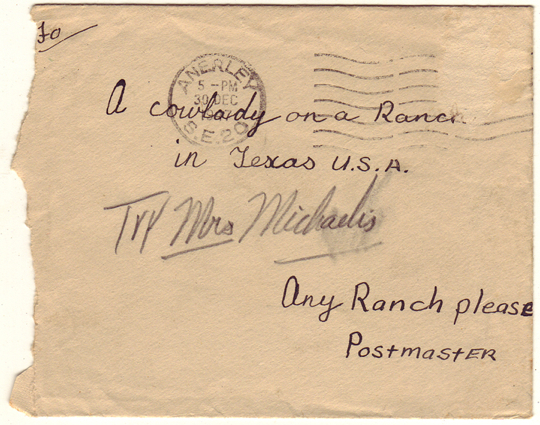 That ambiguously addressed envelope eventually made it to my late grandmother, Mrs. Helen Michaelis on the Michaelis Ranch. 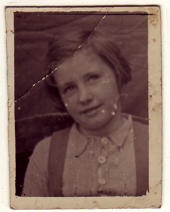 We discovered these letters, 60 years later, in my grandmother’s old office. 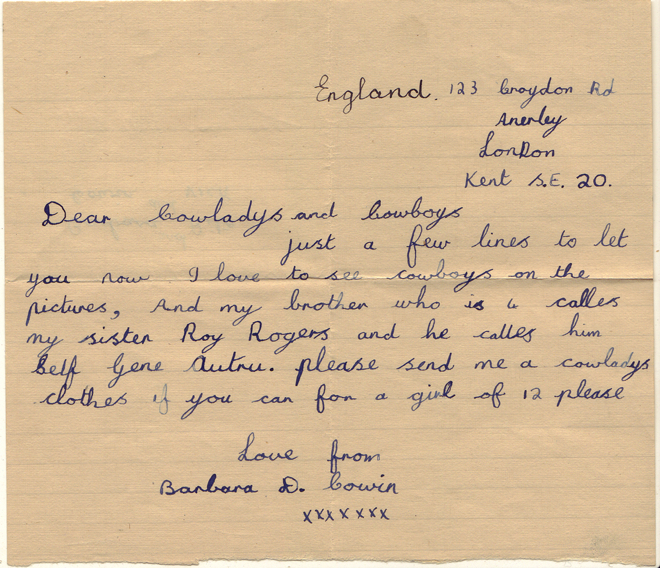 I don't know if she ever sent Barbara and Sylvia a picture of her horse, or a cowgirl outfit, but I'd be very interested to find out.